Peter Caldwell is a staff scientist in and deputy group leader for the Cloud Process Research (CPR) group at the Department of Energy's Lawrence Livermore National Laboratory (DOE LLNL) in Livermore, California. His research is broadly focused on clouds and their role in climate change with special interest in stratocumulus, cloud feedback, high-resolution global climate model development and evaluation, regional climate modeling, numerics of climate models, and statistical analysis of climate model ensembles. Peter was recently a co-leader for atmospheric and coupled model development for DOE's $18M/yr Accelerated Climate Model for Energy (ACME) project. He is currently leading a team focused on numerics of parameterizations for DOE's Scientific Discovery through Advanced Computing (SciDAC) and Climate Model Development and Validation (CMDV) projects. Peter came to LLNL in 2007 as a postdoc working on regional climate modeling. Before that, he worked on his PhD at the University of Washington (UW) under the tutelage of Christopher S. Bretherton. 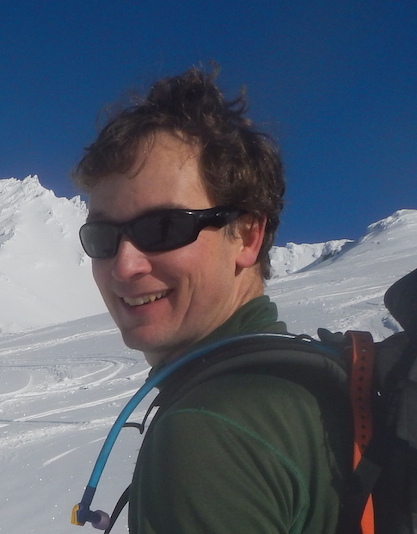 While at UW, Peter used observations and simple models to understand the physical processes underlying stratocumulus response to a changing climate. Peter's original background is in math and much of his current research spans the boundaries between climate science, numerical analysis, statistics, and computer science. Atmosphere Model Working Group Co-Chair for Community Earth System Model (2015-current). Associate Editor, Journal of Advances in Earth Systems (2017-current). Deputy Group Leader for Cloud Processes Research team (2014-current).